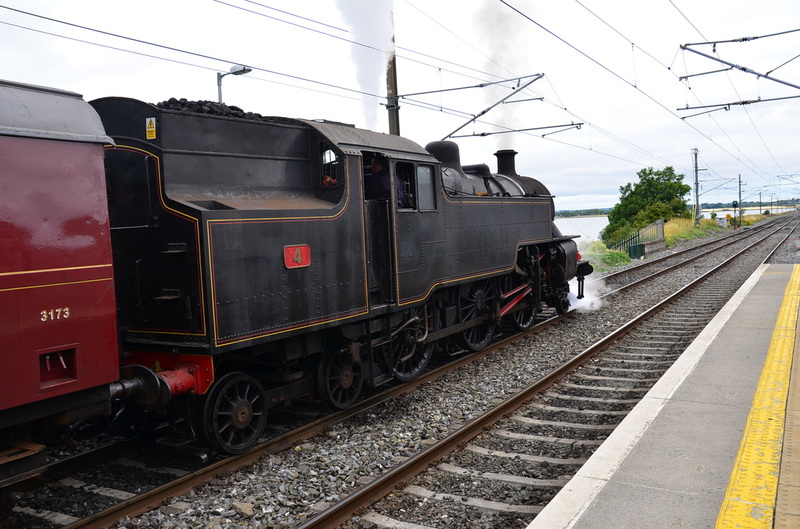 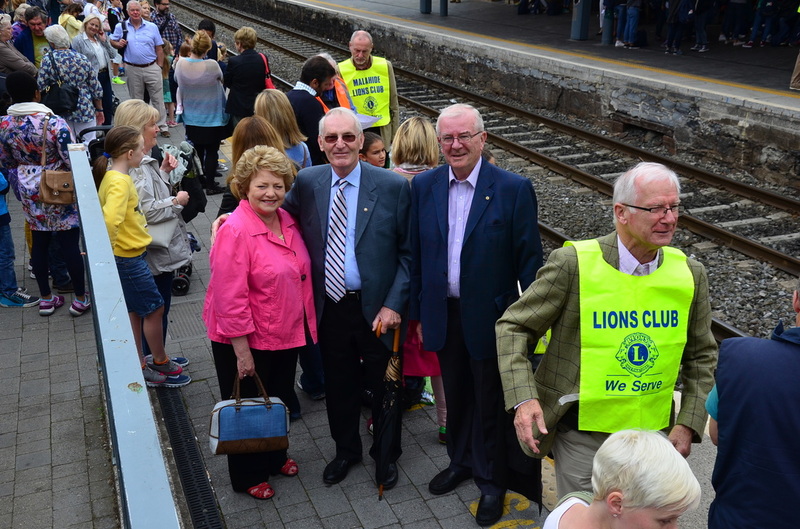 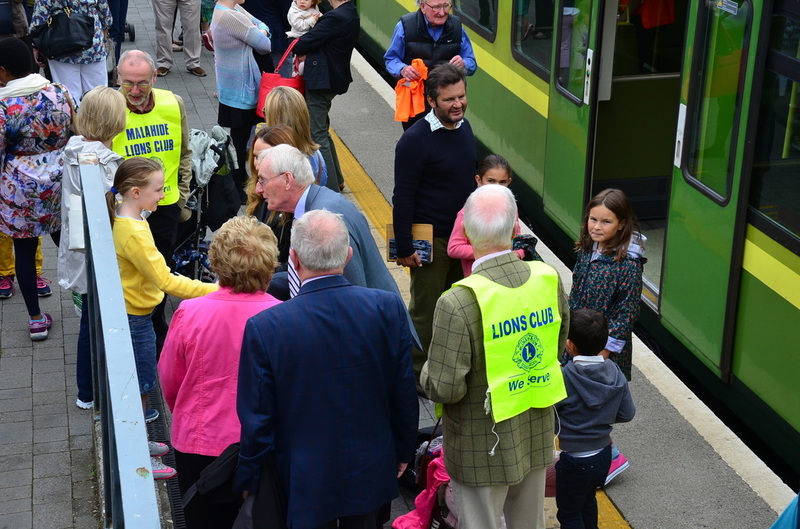 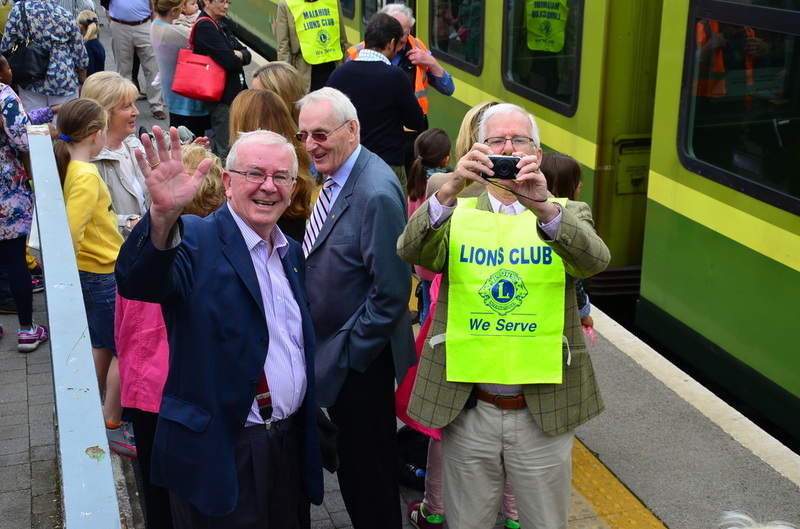 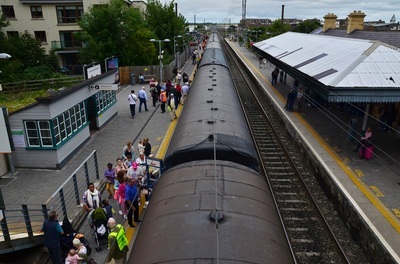 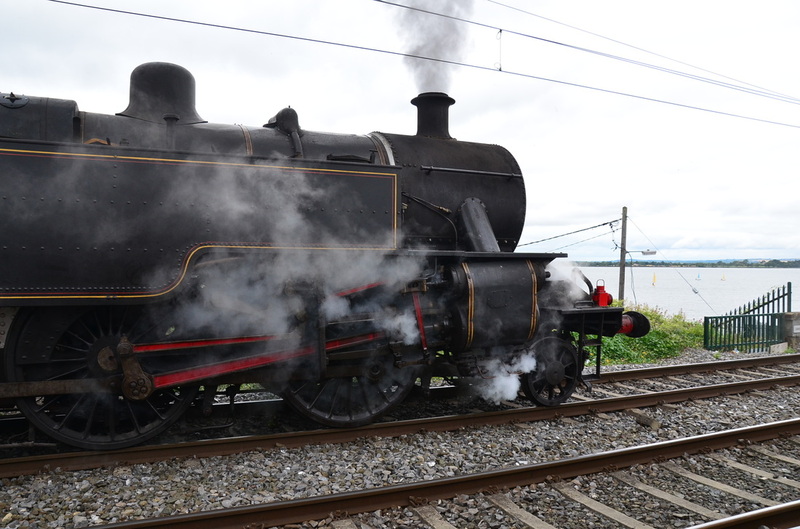 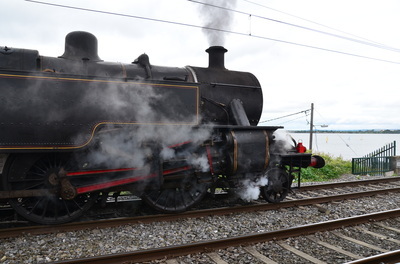 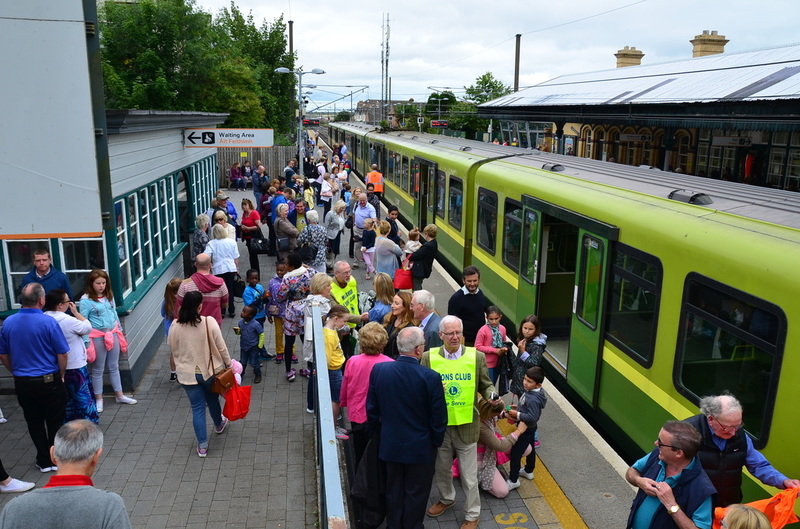 Sunday 9th August, over one hundred Steam enthusiasts and guests of the Lions Club departed Malahide in 1960 Craven carriages pulled by the recently overhaulled and powerful mogul No 4 steam locomotive of 1947 vintage. With a good head of steam we arrived on time to join a guided walking tour of the historic town. 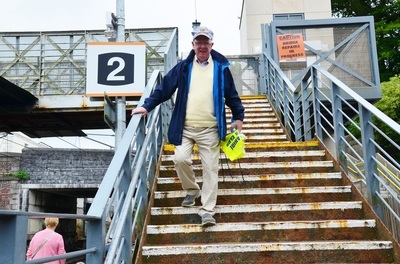 The enjoyable walking tour was conducted by trained and upskilled members of the Drogheda Homeless Organisation, following the My Streets progamme which had been developed in many other European cities. This programme empowers some from the Homeless into positive action to regain their self confidence and to again make a positive contribution to their community; it allows for their personal development, confidence building and enhanced oral presentation skills to ensure success as trained walking tour guides. 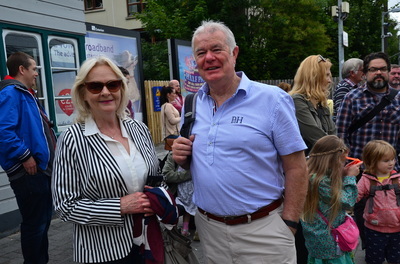 The walking tour proved most interesting, informative and entertaining. Alas, after an hours walking through the historic narrow streets of yore, the human bodies demanded some light refreshment and a little sustenance. 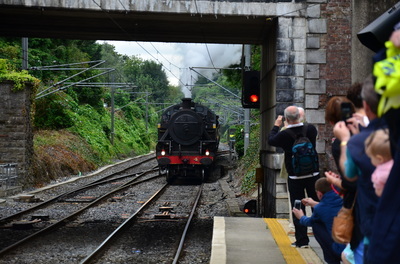 Then it was time to again walk - yes up another hill - back to our train station to await the welcoming puff puff of our beloved choo choo No 4 and the ending of another wonderful experience. 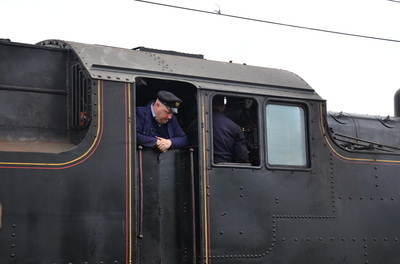 All proceeds from our Steam Train trip are being presented to the My Streets programme to help encourage further efforts to allow and help others to once again hold their heads high. 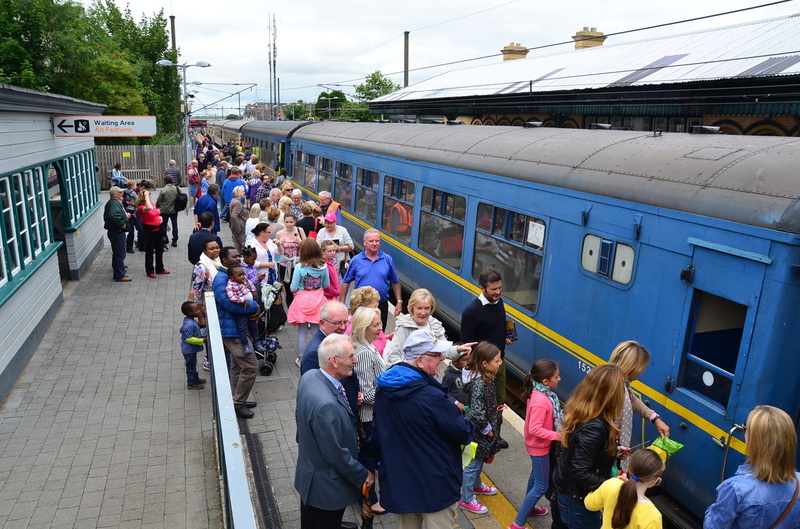 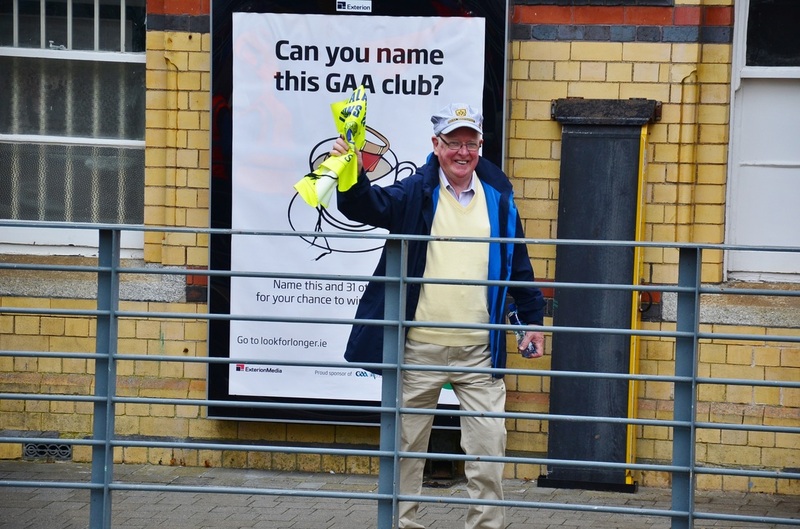 ﻿Click here﻿ to read the report in the Drogheda Life website. 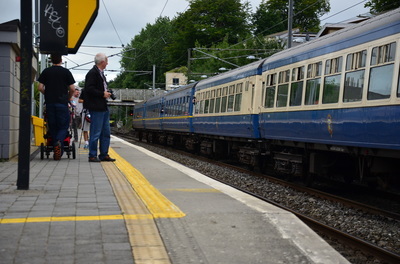 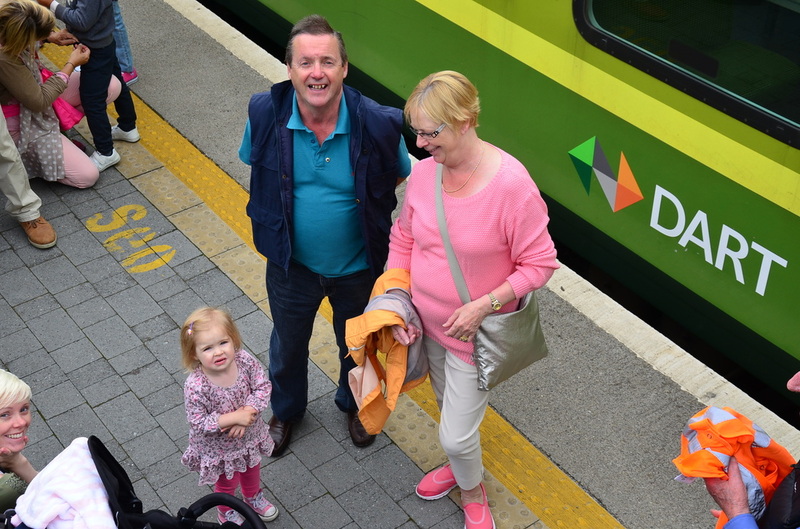 The Malahide group pictured after they had arrived by steam train in Drogheda on August 9th. 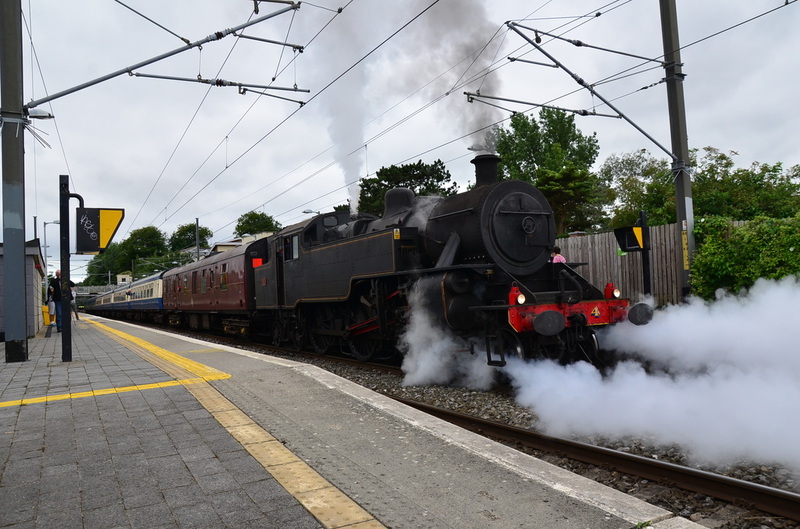 Photo: Andy Spearman. 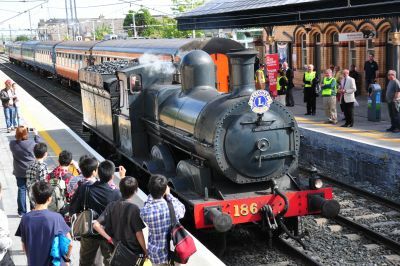 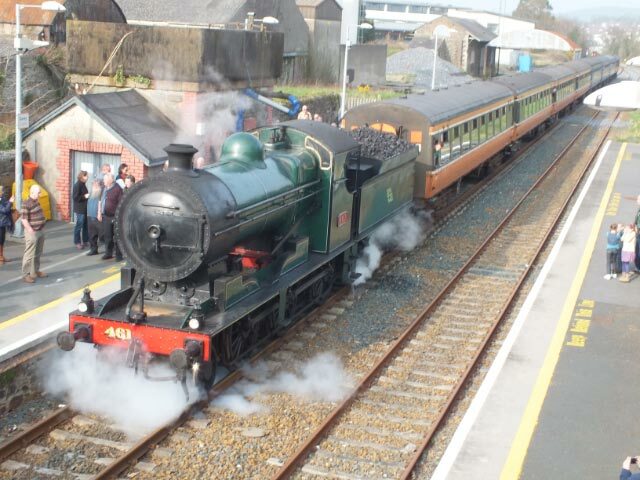 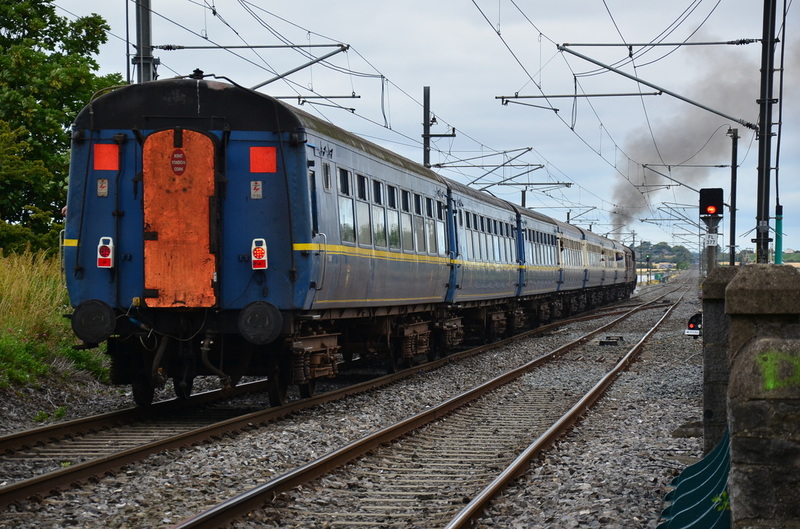 The Railway Preservation Society of Ireland, is another voluntary organisation formed in 1964 to preserve in working order steam locomotives and other rolling stock that was built for and operated on the Irish railway system. 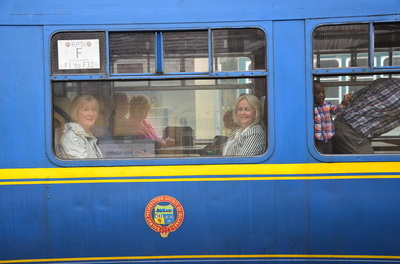 The society is a non-profit charity managed and operated by voluntarily efforts. At present there are 10 old Steam Locomotives, 8 Diesel Engines, 32 Carriages inc the State Coach – Nbr 351- built in 1903 for King Edward VII, guards vans and many other assorted wagons. 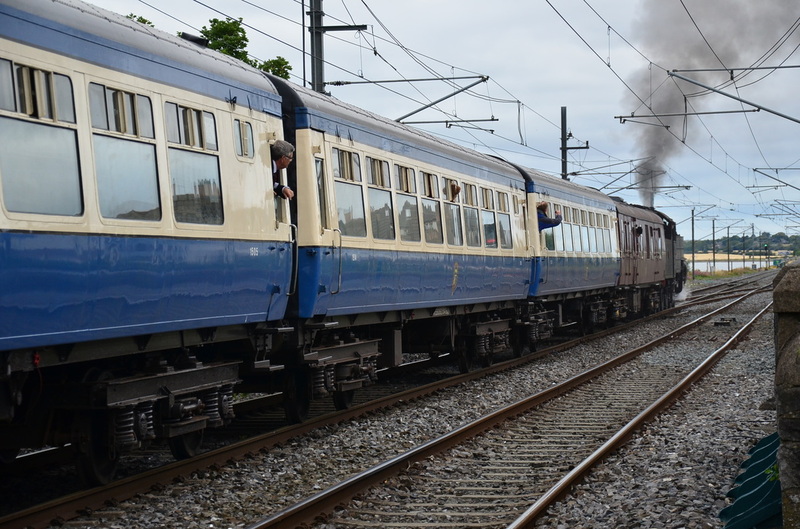 These items of rolling stock are overhauled, maintained and preserved at both Whitehead and at Inchicore, where they are restored and kept in a good serviceable condition by a group of dedicated volunteers.